ABVP and DUSU organised a Campus Cleanliness Drive on Monday in north campus, in harmony with the ongoing ‘Swachh Bharat Abhiyan’ spearheaded by PM Narendra Modi. 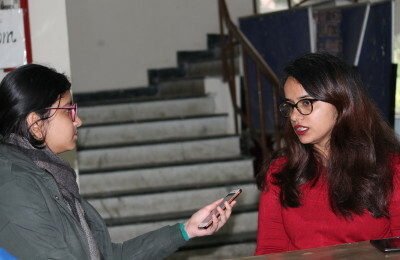 DUSU also expressed concern over the state of waste disposal facilities in the campus and demanded the installation of dustbins. “We also demand that the DU VC immediately install adequate dustbins in the campus since there is a serious dearth of the same. How are students expected to keep campus clean, if there aren’t adequate dustbins? If they are unable to do it, ABVP and DUSU will mobilise funds from the students and install dustbins themselves,” ABVP and DUSU said. Last month, DU VC Dinesh Singh kicked off DU Swachhata Abhiyaan urging students and staff members to undertake the task of cleanliness themselves without depending on civic workers.